Youtube is also a very powerful channel if you want to market yourself just like Facebook and Instagram. However, if you want to make your youtube channel successful there some best golden ways to do it. Be it any YouTuber, celebrity or vlogger that has got millions of views on channels. The big key to it is quality content and regular publishing of it on a regular basis. If you post interesting thing in your channel regularly the public will definitely watch it and check out your youtube channel too. So here are some best strategies if you want to make a successful youtube channel. the keywords should be very much relevant to the product industry and target audience. To make your videos compete with other videos use catchy thumbnails on videos. Thumbnails play a key role in drawing the attention of the people towards your videos. For a new video creation, there is an option of uploading custom thumbnail in the videos. Here are some effective tips to use thumbnails effectively. 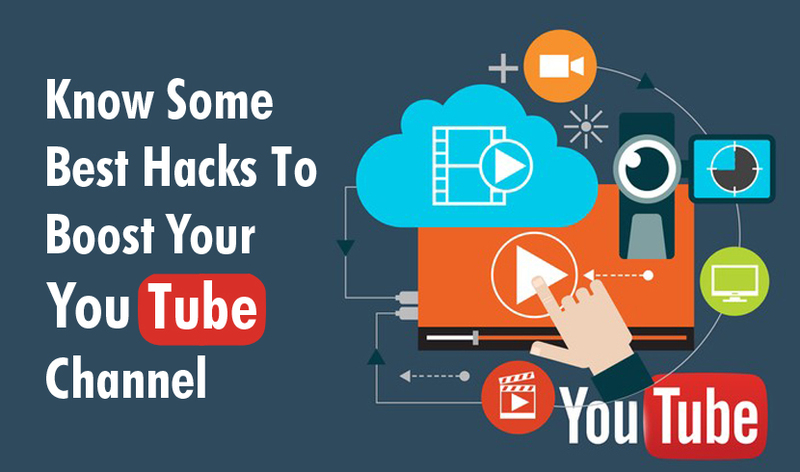 Connect your youtube channel very well with relevant landing pages and links of your website. Here are some best suggestions to optimize your youtube channel. brief about your youtube channel very well. explain about yourself and your brand USP's very well. add all your links to your social media profiles, website, and product landing pages. 4) Use Heavy Call To Action In Your Video & Description: ask people to subscribe to your channel. Youtubers today are very much familiar with this term "please subscribe to our channel if you liked our video" use these terms frequently before and after the video to attract more subscribers. Here are some best ways to optimize your youtube channel. ask people to subscribe to your channel. asking viewers to like, share and comment on the video. add video cards to with big subscriber to channel button. You should definitely use other web channels to increase your youtube channel views. Pust the list of your best-viewed videos in your email letter, you can write a blog about the most challenging video and the lessons learned from it. There should be a short description of the video with some hashtags. The video description to should eye catchy and describe the video very well "short and crisp"
Once fully optimized videos are created then schedule them in the rotation in a relevant time. As far a youtube platform is concerned it is as popular as Television. As programmes are scheduled on television. Similarly, if a youtube channel is popular people wait for a new video every time. With growing internet technology youtube has become one of the popular channels to showcase your brand with so many people viewing the videos daily it's has become very easier for the businesses to grow and earn with youtube adsense. Great content is the first step towards a great youtube marketing strategy. These steps above are the most solid master strategy to bring youtube subscribers and attract more viewers.